Some people for their false thoughts and ideas distort the words and meanings of the Qur’aan and Hadeeth and alongside this they present weak and fabricated narrations. Hence in this brief treatise we wish to present some investigation and notes on the narrations upon which the general Muslim ummah has erred in or are in doubt of. And all guidance is from Allaah. The central narrator of this narration is Muhammad ibn Marwaan Asadee (Baihaqee, Meezaan al-Ei’tidaal and others). Imaam Saaleh Jazrah said, “He is weak and a fabricator of hadeeth.” (Tahdheeb at-Tahdheeb (9/387). some people have found another chain for this narration from the book of Abush-Shaikh Asbahaanee (See Taskeen as-Sadoor by a deobandee author (p.326-327), then this narration is also false. In it the trustworthiness of Abdur-Rahmaan ibn Ahmad al-A’raj, the teacher of Abush-Shaikh could not be acquired (Aynah Taskeen as-Sadoor (p.113). In addition to this both chains include al-A’mash who by agreement was a mudallis (Aynah Taskeen as-Sadoor (p.121) and the narration of a mudallis is weak (See Kitaab ar-Risaalah of Imaam Shaafi’ee and the general books of the Science of Hadeeth, Khazain as-Sunan (p.1, deobandee author), Paigambar Khudaa (p.322), Fatawaa Ridhwiyyah (5/245, 266) of Ahmad Raza Khaan Bareilwi. According to my knowledge no book of hadeeth contains a chain for this. Allaamah Subkee said, “I could not find an authentic chain, nor a weak or a fabricated one.” (Faidh al-Qadeer of Minawee). According to my knowledge this also does not have a chain. Imaam Saghanee declared it to be a fabrication. 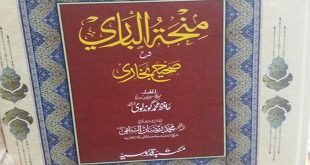 The narration could not be found in Imaam Daylaamee’s book Kitaab al-Firdaus (In wording or in meaning). 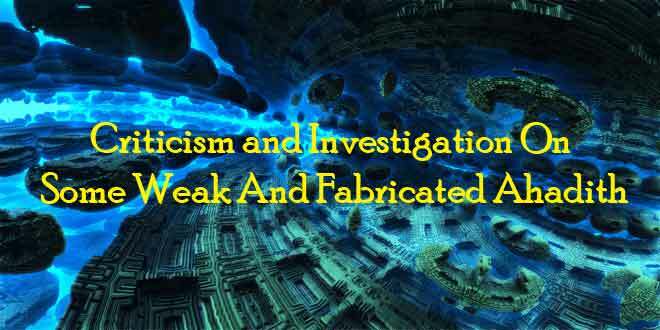 The narration of Ibn Asaakir was declared as a fabrication by both Imaam Ibn al-Jawzee and Imaam Suyootee and the words of which contradict this. The hadeeth of the mount of Jabal (ref. al-Asaabah and others). This narration is weak due to a disconnection in its chain. (See the checking of Musnad Ahmad by Shaikh Ahmad Muhammad Shaakir (2/171 no.896) and the meeting of Shareeh ibn Ubaid with Alee is not established. Neither is this narration in Musannaf Abdur-Razzaaq nor in Tafseer Abdur Razzaaq. even after extensive search no chain for it could be found. (see the book of Dr.Abu Jaabir ‘The Belief Of The Noor From The Noor Of Allaah’ (p.40 and onwards). A narration with similar meaning is narrated from Abu Ja’afar (Muhammad bin Alee bin Hussain) in the book of the raafidhee, Usool al-Kaafee (1/422 no. 10). But this chain is weak according to both Ahlus-Sunnah and Ahlur-Rafdh. Apart from containing Muhammad ibn Sinaan and Jaabir Jau’fee (known liars) it also contains al-Mufdhil bin Saaleh (Abu Jameelah al-Asadee) who was called a lair and a fabricator of hadeeth by ibn al-Ghadhiree (Raafidhee) (in Tanqeeh al-Maqaal (3/237-238). Furthermore Haashim Ma’aroof (Raafidhee) said, “The (raafidhee) authors are unanimously agreed that he was a liar and he would fabricate hadeeth.” (al-Mawdoo’aat (p.230) from Rijaal ash-Shee’ah Fil-Meezaan (p.119). The hearing of the Adhaan from the grave of the Messenger of Allaah by Sa’eed ibn Musaayib (ref.Daarimee (1/44 no.94). Also there is no evidence to establish Marwaan ibn Muhammad narrated from him (Sa’eed ibn Abdul Azeez) before he started to forget. Secondly Sa’eed has not clearly mentioned the chain by which he heard this incident from. Some scholars have said Amr ibn Maalik is trustworthy, however Imaam Bukhaari has decalred him to be weak (Tahdheeb at-Tahdheeb (1/336). there is also a difference of opinion whether Abul Jawzaa Aws ibn Abdullah met the mother of the believers Ai’shah. He has not mentioned the chain for this incident so that it can be authenticated. So using this doubtful and disconnected narration to establish grave worship is greatly censurable. The summary of this narration is that Aadam supplicated using the intercession of Muhammad (ref. 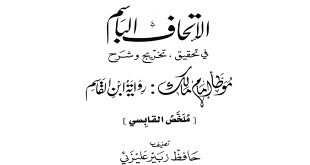 al-Mustadrak al-Haakim 2/618). His student Abdullah ibn Aslam is unknown (Majhool) and he has been accused. May Allaah keep us firm upon the Book and the Sunnah and may our end be upon love and hate for the sake of Allaah. Ameen.